Last weekend was a gorgeous camping weekend! We've been camping in the pop-up for 2 years now, and this year I finally feel like I am getting good at simplifying things. This helps SO much, because when you bring too much stuff, it's WAY more work and WAY more schlepping. I'm now doing what I call "camping with a K", aka Camping the KonMari way. Below are my top tips, and if you scroll all the way done, you can find photos as well! I pack everything in categories - Clothing, Linen, Food and Komono (miscelleneous). So, I pack at home in that order, then I unpack at the campsite in that order, and then vice versa. It prevents me from "zig zag" packing ("what the heck am I doing right now?!?") and keeps me focused on one thing at a time. I use clear Sterilite bins from Target for each category. I use colored duct tape and an Extreme Sharpie to label the bins. I label each side of the bin. This way, no matter which way the bins get packed into the car, I still know where everything is. This time, I got extra fancy and re-purposed some plastic containers to make a DIY Shake 'n Pour pancake mix and a smaller container for milk to fit in the cooler. Similar to my beloved #backpackchallenge, this helps cut down on the work of travelling and adds lots of time to #donothing. Tell me how you simplify YOUR travel this summer! I use inexpensive yet sturdy Sterilite bins, which I find at Target, paired with duct tape labeled with a Sharpie. I use old spaghetti sauce and coffee bottles to make DIY Shake ‘n Pour pancake mix. I also like bringing along a smaller container of milk for the cooler. We call her “La Posada”, which is Spanish for The Inn. Packing light means having more time to soak it all in. 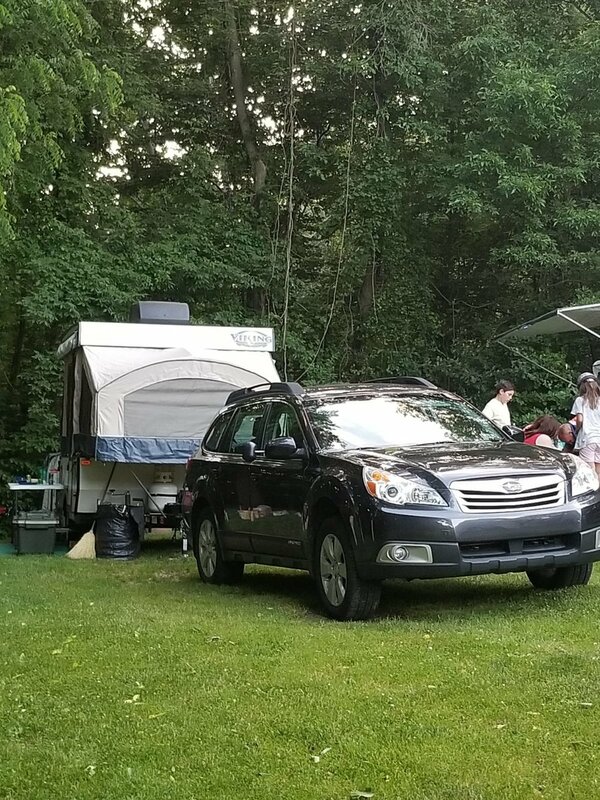 I highly recommend this local KOA near West Chester - it’s just 45 minutes from our house. We love it!